It may only be the middle of February but in true slow lane style I’ve had to start early if I want to stand any chance of getting everything done before May! In 2013 (I think) I decided I wanted to do something to mark International ME Awareness week. I was (and am) obviously too ill to take part in a marathon or sponsored bike ride, so I settled on hosting a tea party for my friends and family where all anyone had to donate was the price they’d expect to pay for tea and cake in a coffee shop. This will be my third Blue Sunday event and for the first time I am inviting you not just to join me online, but to call in to the ‘real life’ event if you so wish (and you’re able to make the journey!) There is a Facebook Event page already set up if anyone wants to take a look. Choosing a charity to support is a very personal choice. When I was first ill their website was a source of great comfort and countless information. It made me feel like I mattered; that I was, infact, not alone at all. I felt I was a part of a wider community. 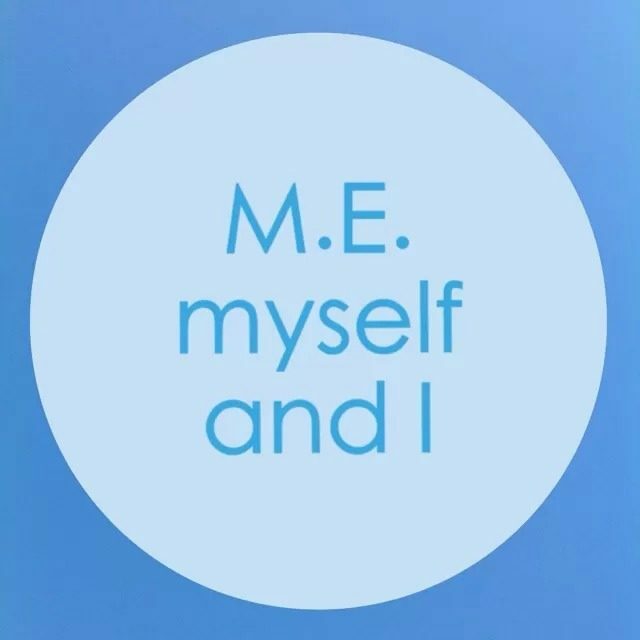 While we wait for accurate treatments and a cure, I believe the support and guidance offered by The ME Association to sufferers is second to none. The MEA have made me feel like I matter. They have never badgered me to fundraise for them as other ME charities have. 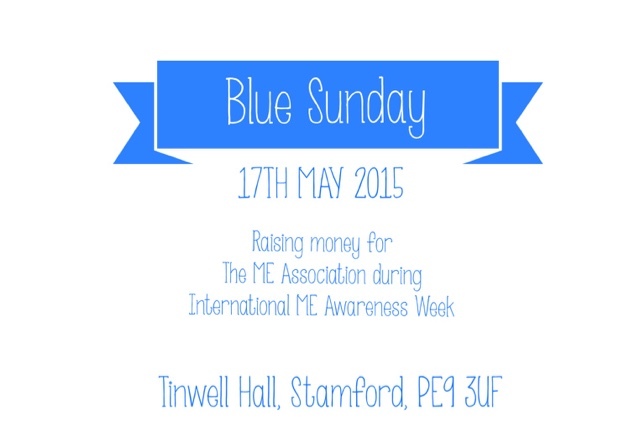 Blue is the awareness colour for M.E. I will once again be making and sending out blue awareness ribbons to anyone wanting one. Please get in touch if you have any questions… And let me know in advance if you’d like to join me on the day – I’m not so good with surprises!